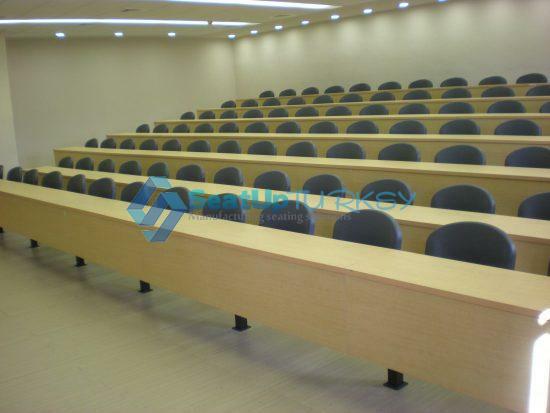 Archive from category "Fixed Seating from Turkey in affordable price"
Who is the most likely to use these seats? Who is the target audience going to use the hall? What the hall symbolizes for the organization in which the seats are going to be installed? 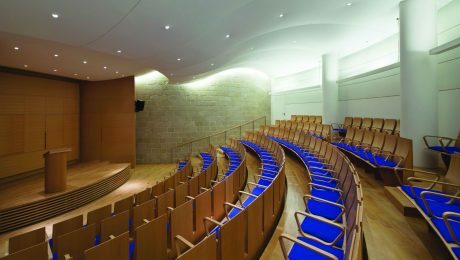 What is the main purpose of using the hall? is it for screening movies? Is it for lectures? Is it for multi-purpose needs? The seating arrangement. 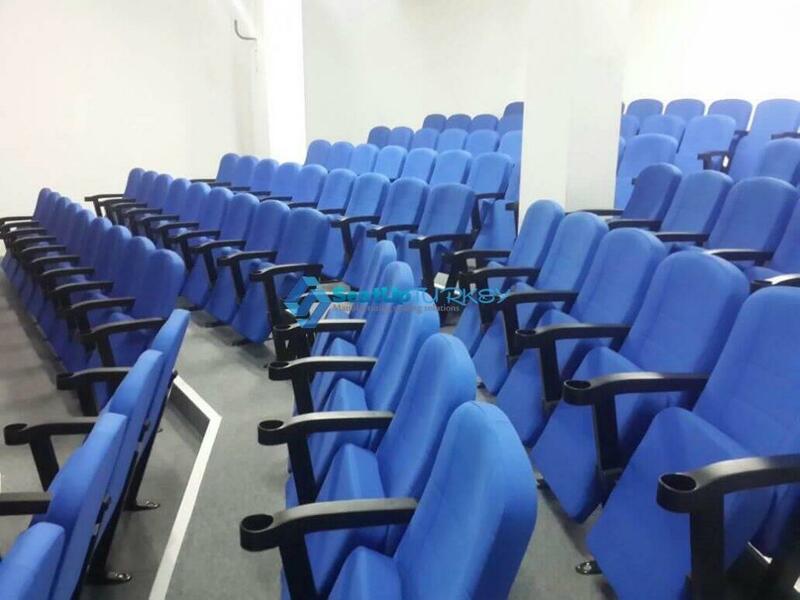 Are seats arranged in rows or curved shape? whether they are municipal officials, artists, managers or ministers. the hall. 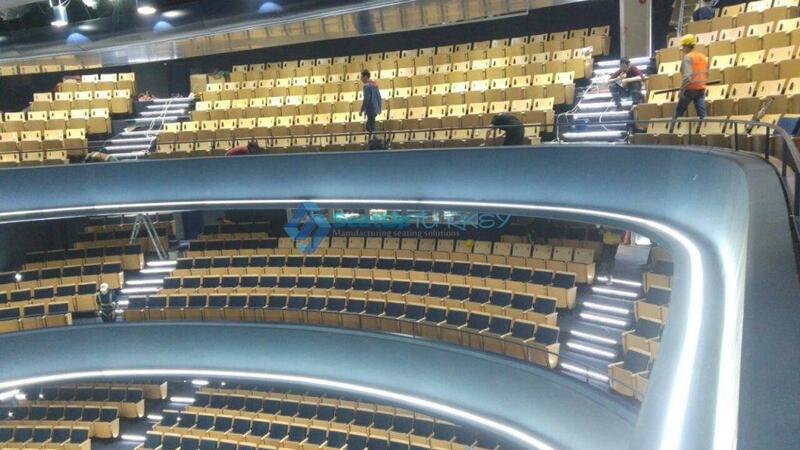 Sometimes, when the entire hall is designed for respectable people, the entire auditorium must accommodate VIP seats. As for the question of what the hall symbolizes, it is certainly an important factor. backrest of seat which that gives the seats in the hall a clear identity of whom they are intended for and what organization they belong to. It also adds to the pride of the organization in which they are installed. the colors of the flag of the group. About what the purpose of the hall is and what it is used for. This is an important point. For example, there are halls where drinking and food are forbidden, so it would not be appropriate to install a seat with a cup holder. drinking and to have an orderly place to put their own bottle. Of course there are halls that require a writing table and some do not. There are halls that require use of a laptop and then there needs to be a larger table and a power connection next to each seat. 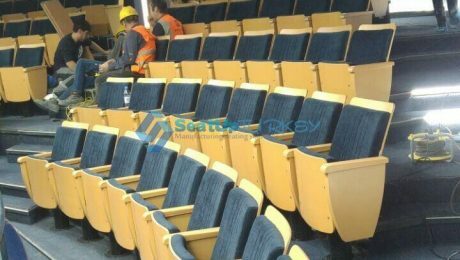 All of these things should be taken into account when choosing a seating model from Seatup Turkey. 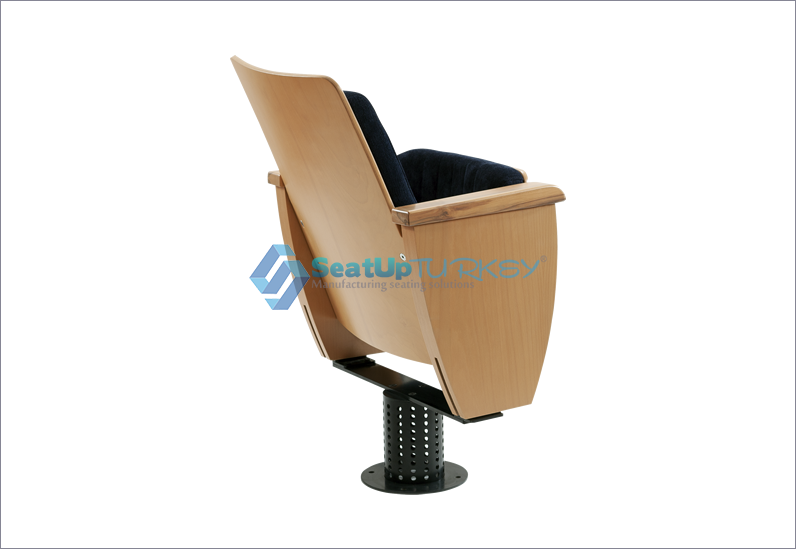 form of curved seating and there are models that are more suitable for this purpose. Thank you for reading this article and we are waiting for your requests. What subject interest you? What do you want the next article to be about? 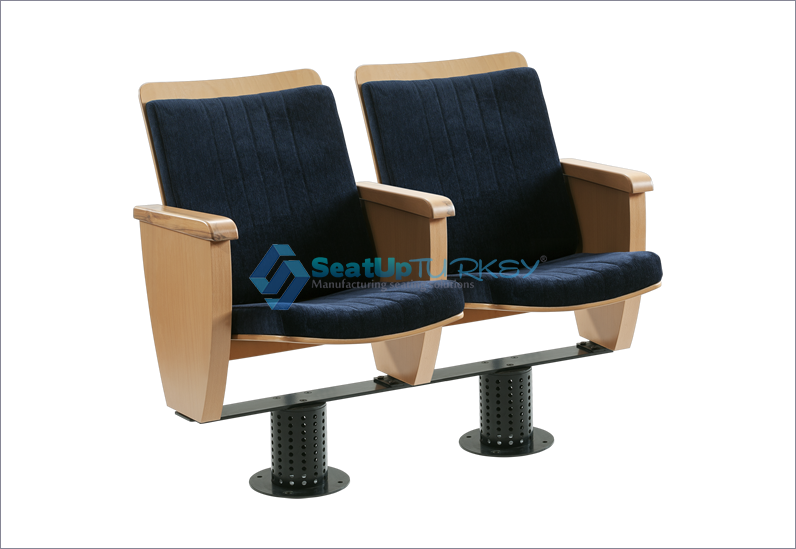 And if you have a project of fixed auditorium seating so do not hesitate to contact us immediately. 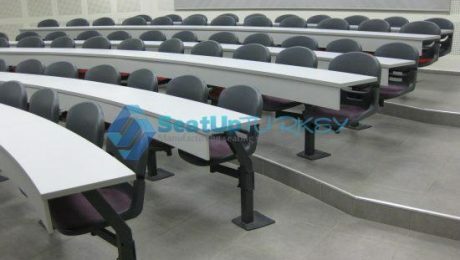 The seats for telescopic systems must be robust and durable as they fold into the system countless times. 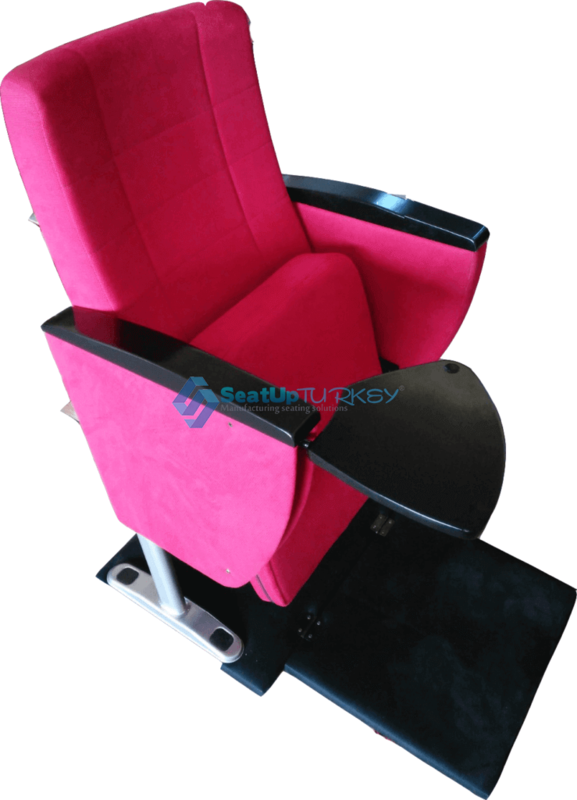 and the other is a upholstered VIP seat model VIP SEATUP2 . 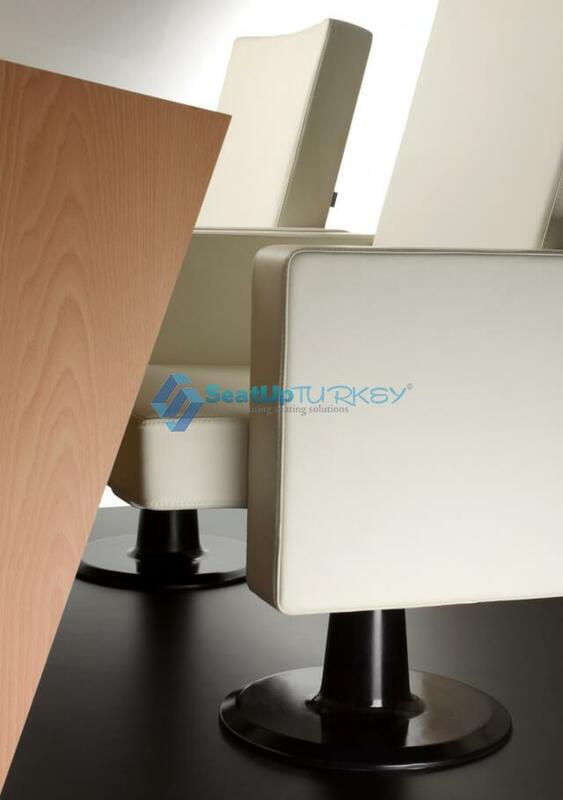 because of this model has high backrest which makes it difficult to create a telescopic system which fit to the size in the space. reasonable prices. So if you have a project of telescopic system We will be happy to help with any questions. 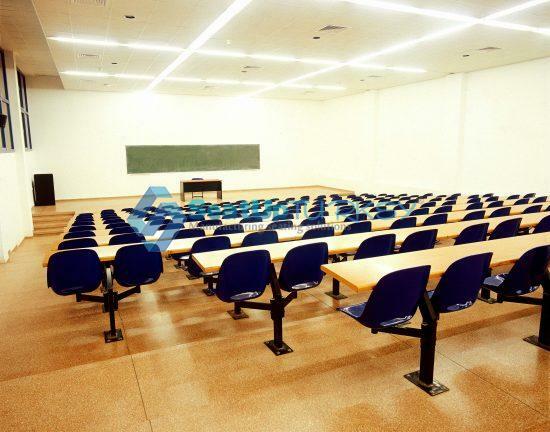 The 2018 collection of auditorium seats will be focused on an anti-panic desk (table). 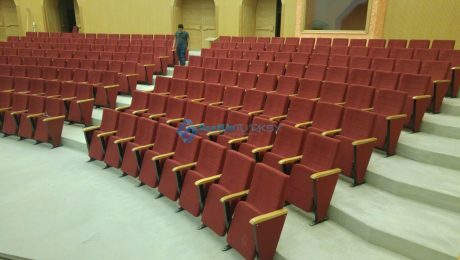 For many years we were used to see auditorium seats with a regular folding table or with a table that folded into the arm of the seat. But this has become obsolete. 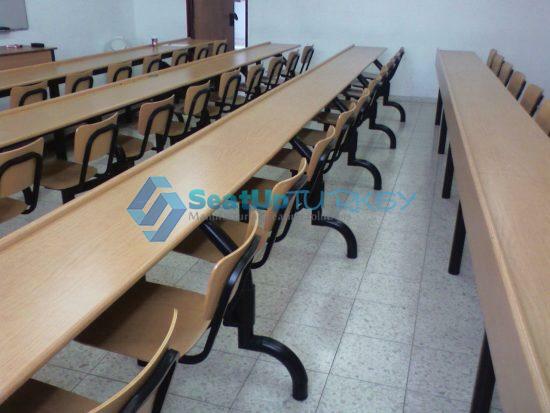 The demand today in most of the halls is for seats with anti-Panic tables (desks). 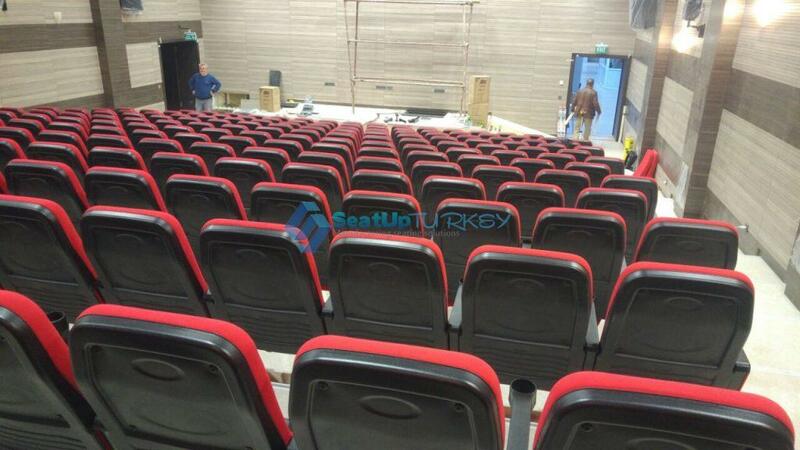 That’s why the 2018 collection of auditorium seats will probably include only seats with anti-Panic desks (tables) . 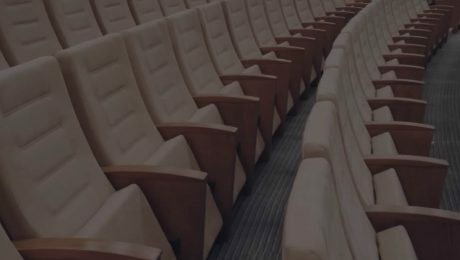 Another important feature of the 2018 auditorium collection is an emphasis on seats with an electrical socket next to the armrest. It will be useful for charging mobile devices, and especially for the laptop, which now replaces the notebooks and books of the past. the foot leg of the seat. as the isolation of the seat from cold and heat. the seat a more representative appearance and highlights the importance of the institution in where the seats were installed. 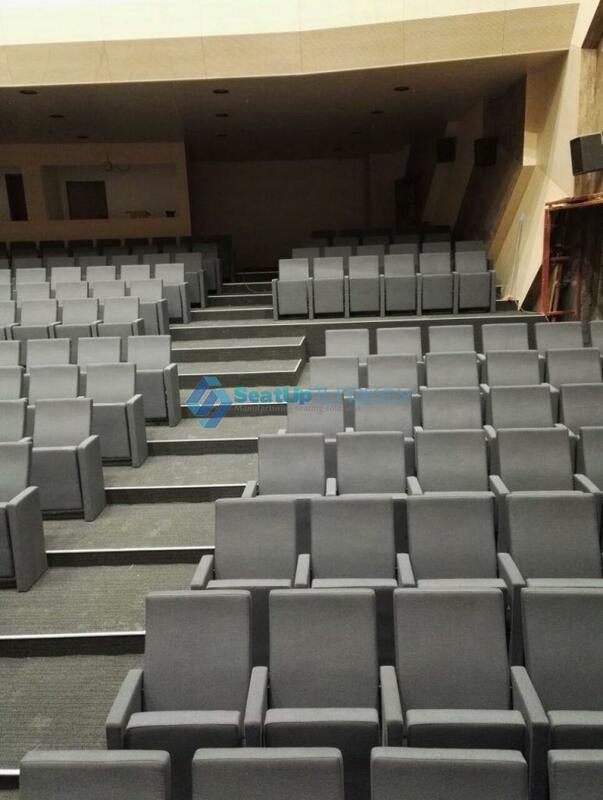 Beyond that, you can see that 2018 customers already give greater priority to the quality of the auditorium seats than the price. 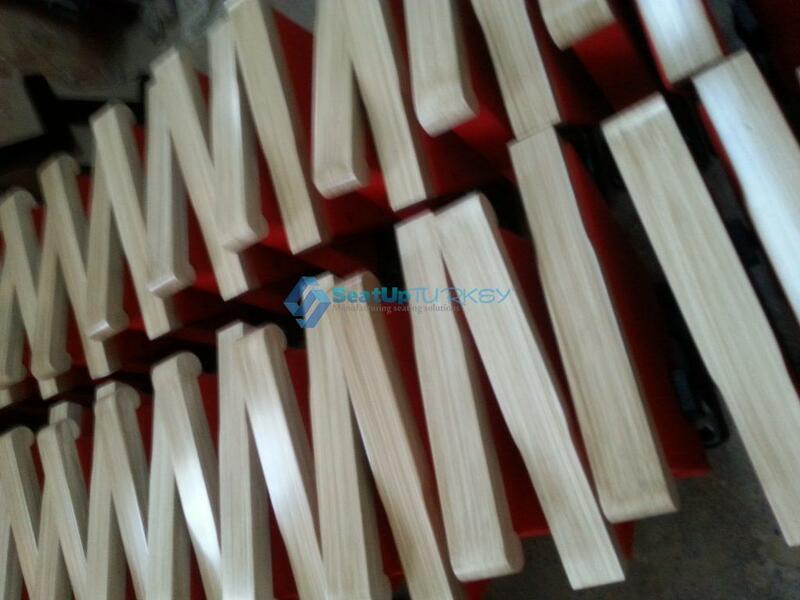 the quality raw materials which we use during the manufacturing of the auditorium seats in our factory. You are invited to contact us for visits to our factory and our exhibition room, our Showroom. And do not forget ! 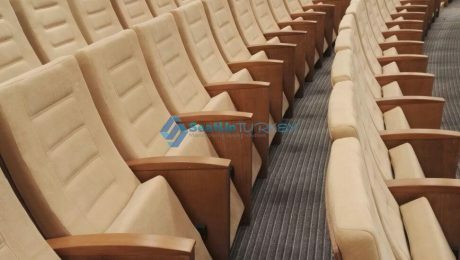 We have a lot to offer you in our 2018 collection of Auditorium seating. we are able to produce more than 6,500 seats per week from each one of these models. That is mean, within one month we will be able to supply about 30,000 seats from each one of these models. Which means that in a period of 7 months we can produce more than 200,000 seats from each one of these models. 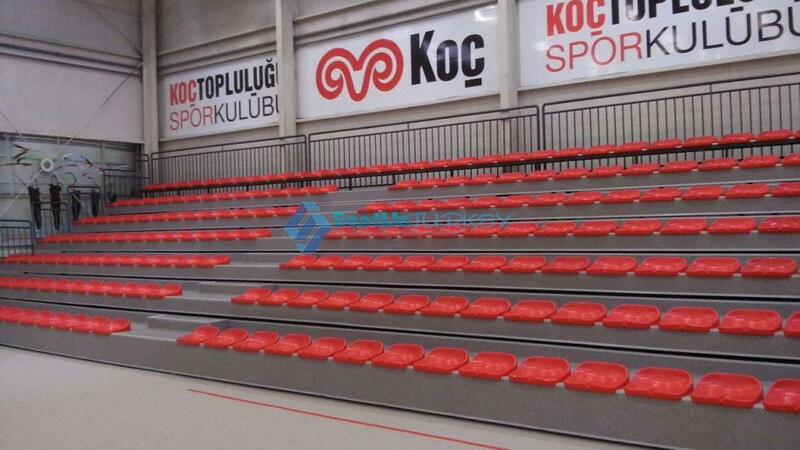 Many costumers are askıng us how many seats of the model STADIUS220 can enter in one 40 feet container? 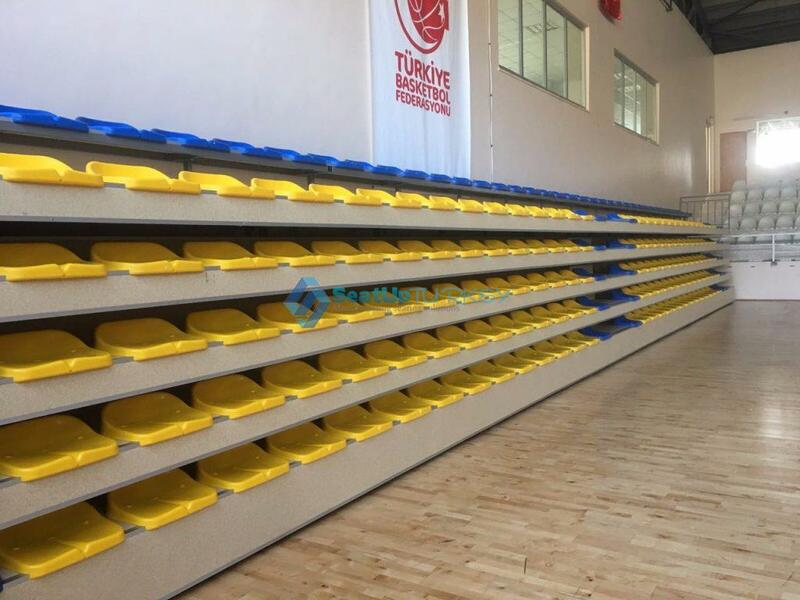 Also many costumers are askıng us how many seats of the model STADIUS401 can enter in one 40 feet container? Mass production of stadium seats That’s what we specialize in! 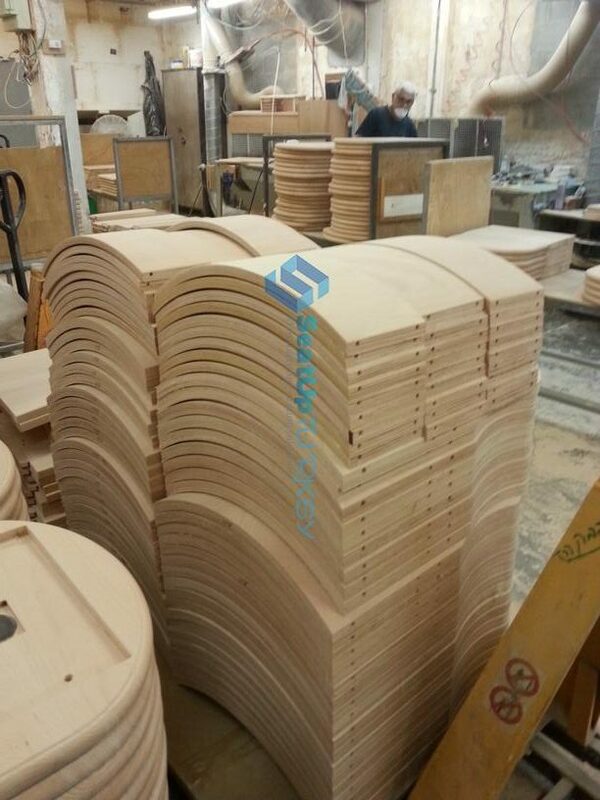 mass production of stadium seats That’s what we love to do! 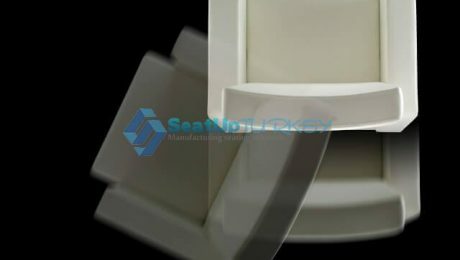 To do mass production of stadium seats this requires strict adherence to high production conditions that we maintain in our factory. same in shape and in color. 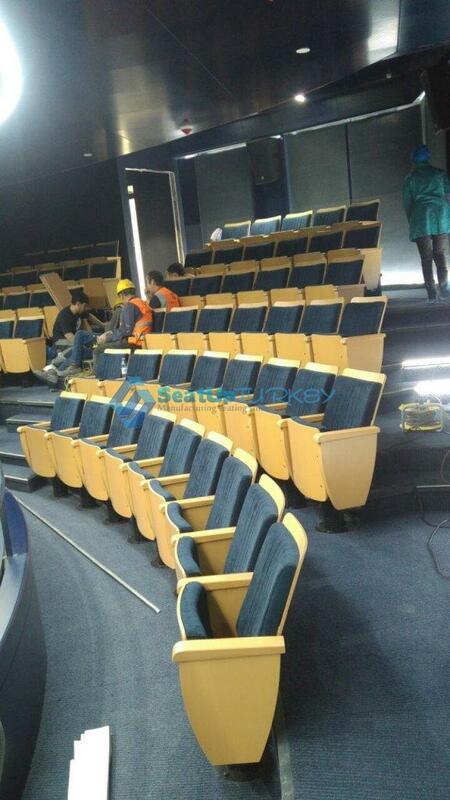 And this is our job in any production process of stadium seats and chairs. success of your project hundred percent and without manufacturing errors. Mass production is not a child’s play and you can not allow yourself to make a mistake in your manufacturer’s choice. delayed and the contractor went into thousands of dollars penalty just because his manufacturer did not meet the schedule. 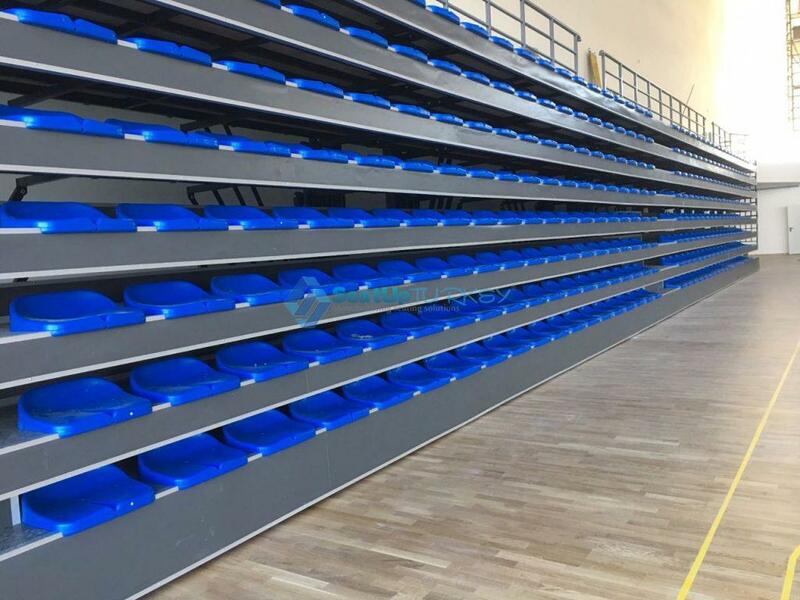 mass production and fast production on time of stadium seats. 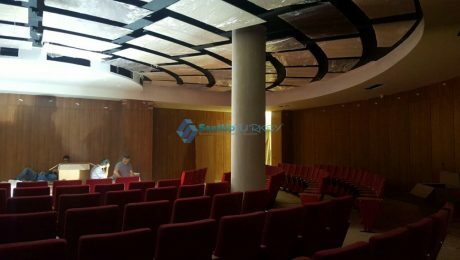 Our model EG AIRITUP is certainly one of the most professional models we have to offer to conference halls and study institutes. What’s special about it is the wooden back of Pollywood in addition to the polywood panel of the seat. 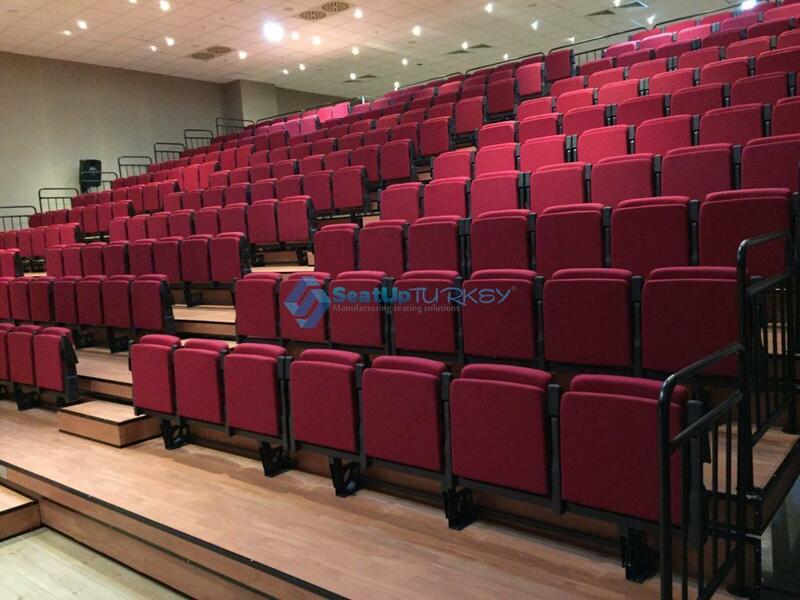 help Ventilate the Auditorium hall, something that help alot in warm countries or very crowded halls. 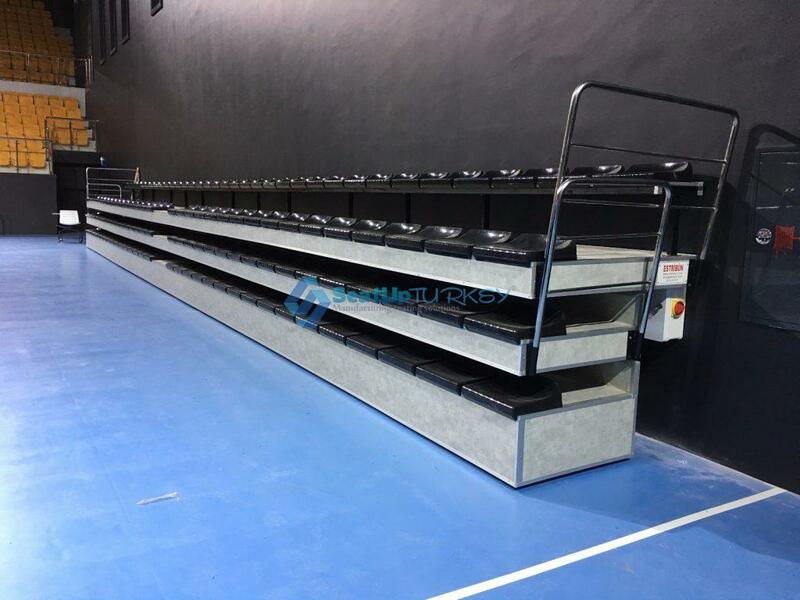 We have been successfully produced and installed this model as you can see in the photos below in a hall with a capacity of 3000 seats! 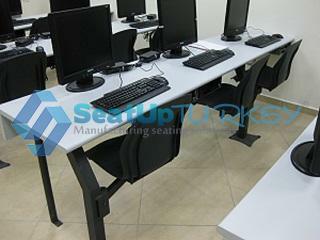 Our EG AIRITUP model is also available with anti panic table system. 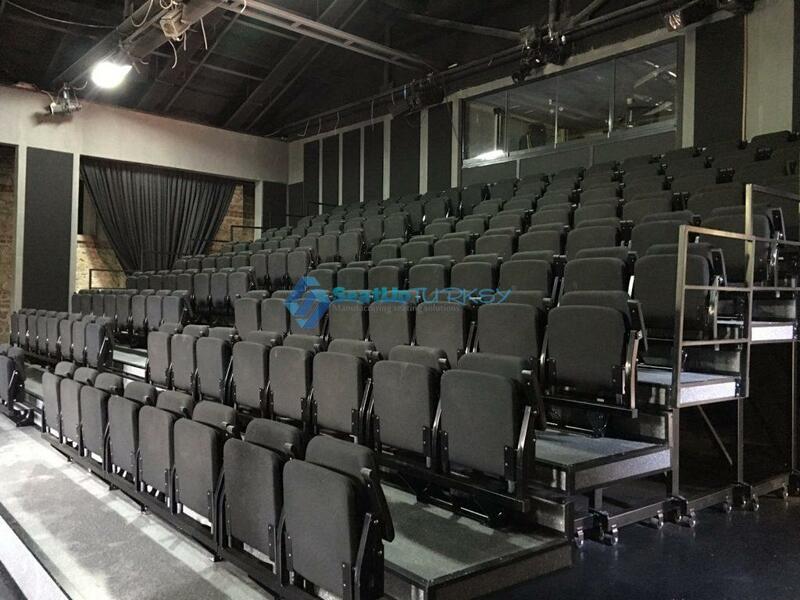 Aiming to achieve the right factory for Auditorium seating! ways to use photos of our products in their catalogs. 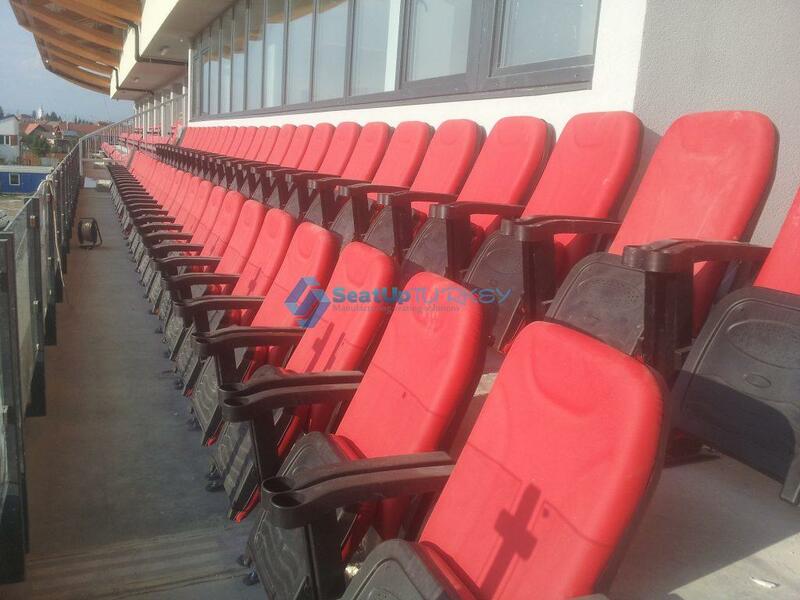 are only very poor quality seats from different models which not even look like those which they have been ordered! just disappear without sending any goods! Therefore be carful from those wolfs… what you can do to avoide from them? We are here and we are open for your visit in both our factory and our showroom in Bursa an hour drive from Istanbul. 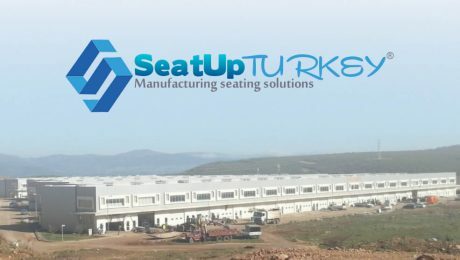 For us in SeatUp Turkey® company making seats is not simple and easy. 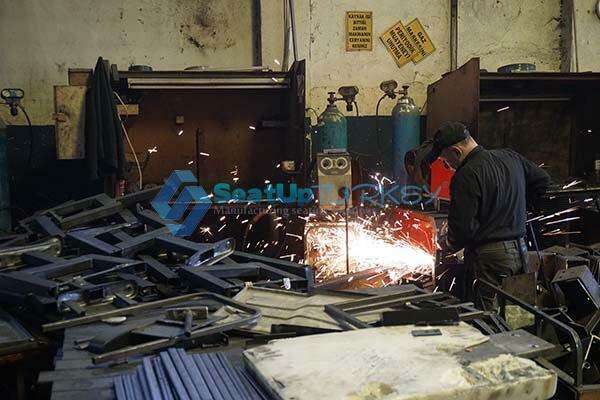 Each model of a seat requires attention and meticulous attention to detail. 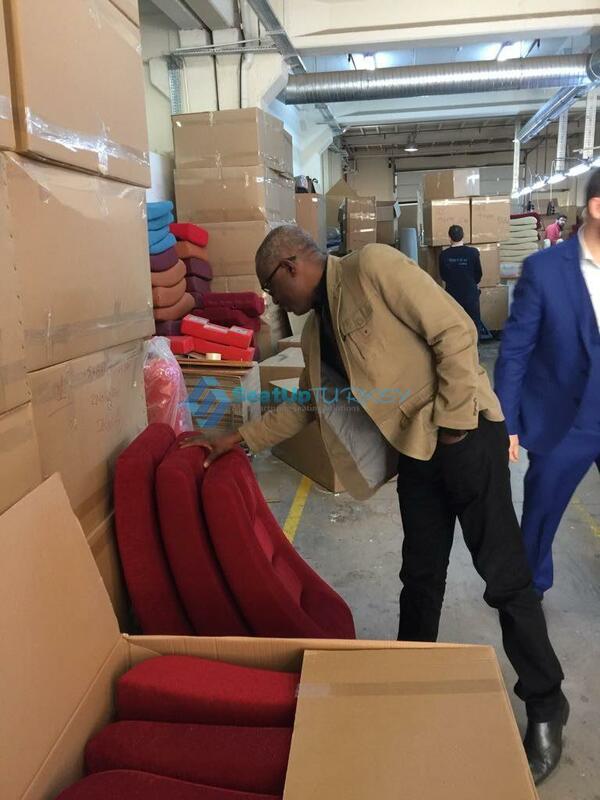 The special thing about our factory is that we manufacture all alone when all the raw materials of the seats are processed in our factory. 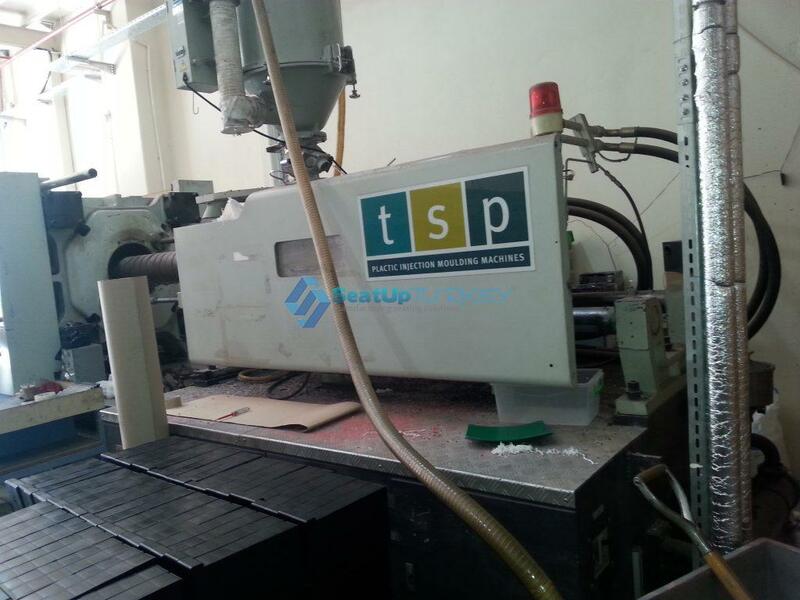 The plastic parts we use are also manufactured by us thanks to our Polyurethane plastic injection machine. Union countries such as Germany Italy Spain France alongside countries such as England and Australia. Countries such as China and India also order huge amounts of fabric from Bursa. That’s why we have access to very high quality upholstery. Including a fine leather look. 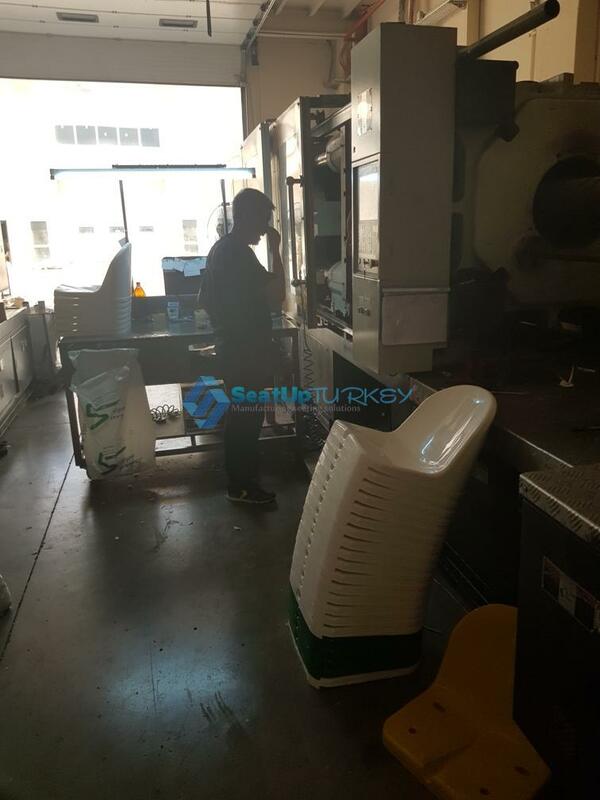 What makes us unique is that all the parts of the moshav are manufactured in our factory, including the plastic parts and the like. 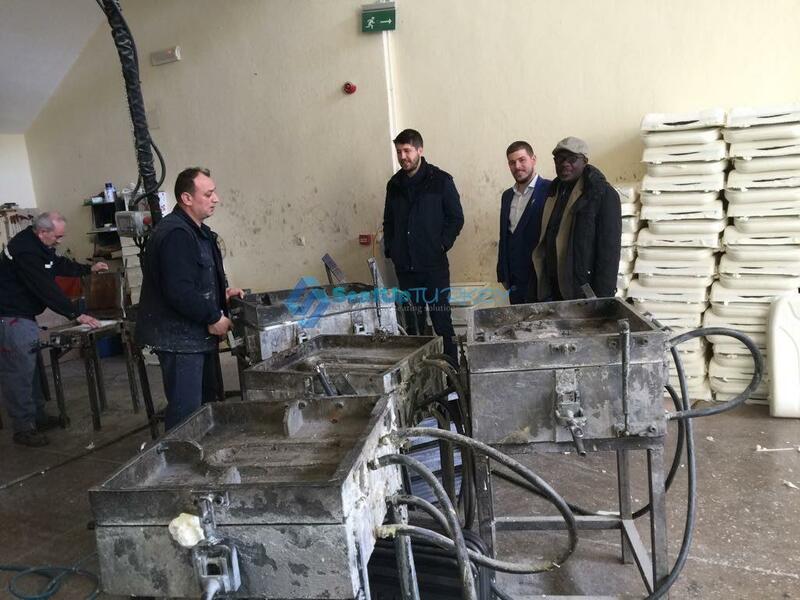 Actually we have 8 main departments in the factory and you are also welcome to visit our factory by yourself. 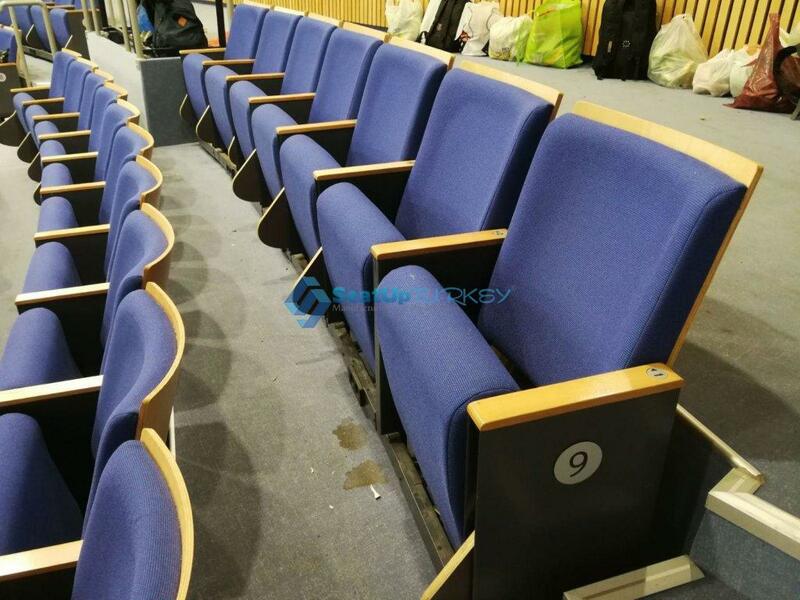 The Research and Development what so called R&D’s is an important role in our company and this is what makes us able to be a leading company for Auditorium and Stadium chairs and furniture for public buildings. Our Design and Project department open for your new ideas and offers and can support your project from a dream to a final realty. 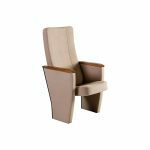 they will help you to convert raw materials into living products and to translate simple products into living Auditorium environments. The outcome is always a harmony of great qualities of raw materials with our professional design which based on our 20 years of knowledge and experience. into leg, foot and the back structure of the seat. high quality electrostatic paint is being apply. wood back shield for various seats and of course wooden armrests. Color resistant in 4 layers applied. 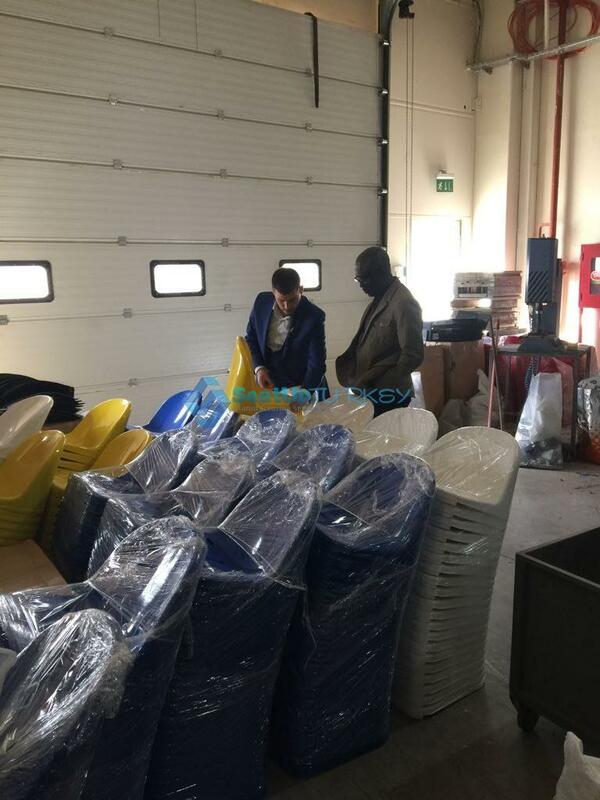 here we produce our plastic seats for stadiums in commercial capes. back seats and seats for all the models which we produce. our team to help with the installation. may absorb on the way. 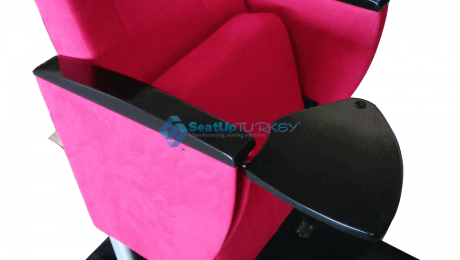 We hope to continue to be one of the best Seating Manufacturer in the world! 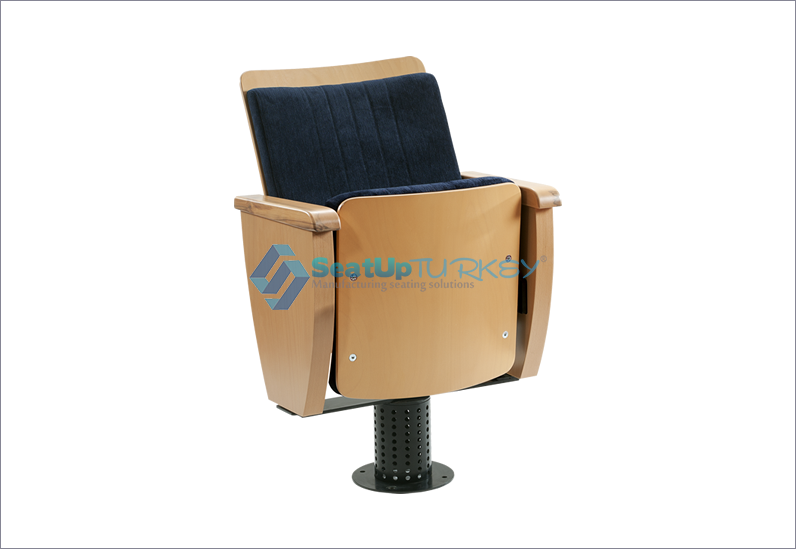 SeatUp Turkey is an expert manufacturer that specializes in fixed Seating since 1995. 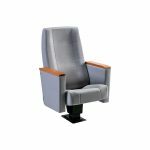 So with our 20 years of experience we will know how to produce for you the fixed Seating solution which you need for your building. Ferries & Cruise Ships, Hotels & Conventions, Clinics & Hospitals, Religious Centers. 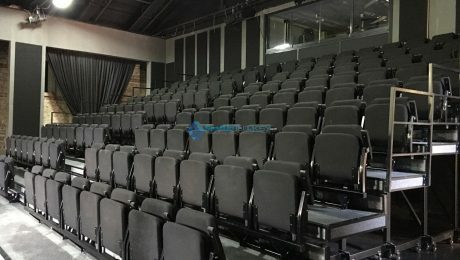 For each one of these sites we have the right fixed Seating solution. 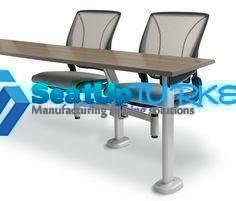 Our project department team is ready to find the best solution with best matching seat for your specific need. with hundreds of available models and custom made seats. without feeling pain or uncomfortable. If you need seat with mono metal leg so you should review our Diamond series and our VIP series. 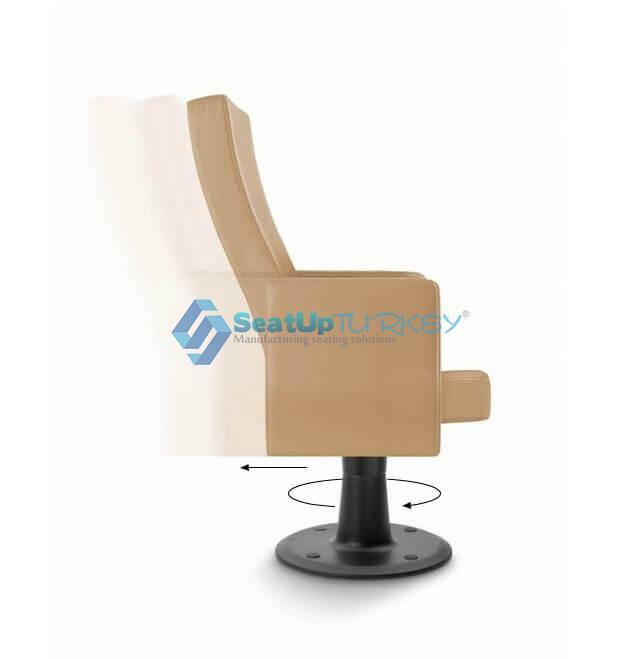 If you need seat with double leg so review our Basic series or our Elegant series. 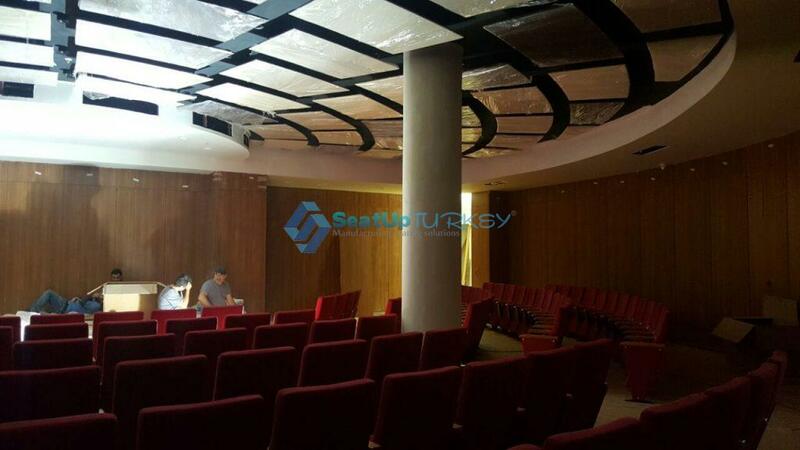 Contact us SeatUp Turkey is an expert manufacturer that specializes in fixed Seating since 1995.
with our 20 years of experience we will know how to produce for you the fixed Seating solution which you need for your building. Cruise Ships, Hotels & Conventions, Clinics & Hospitals, Religious Centers. 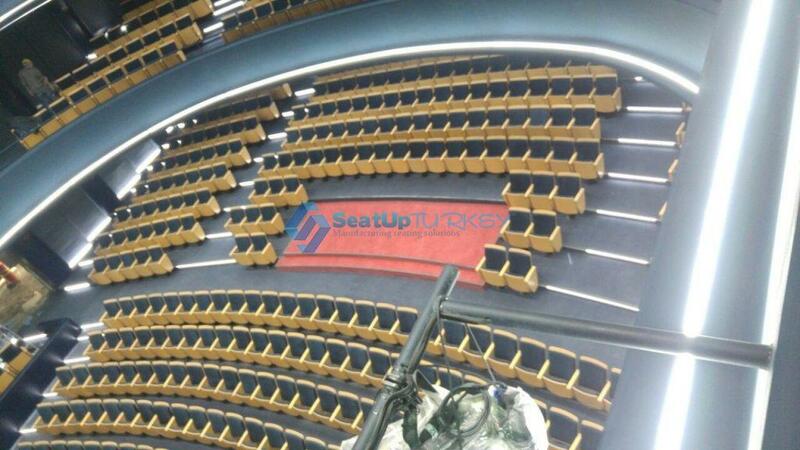 For each one of these sites we have the right fixed Seating solution so just Contact us SeatUp Turkey. 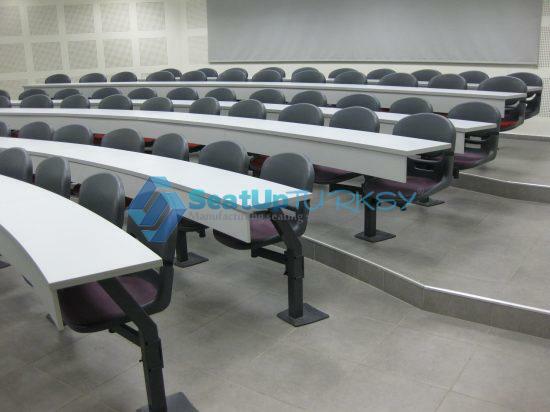 SeatUp Turkey is an expert manufacturer that specializes in fixed Seating since 1995. with our 20 years of experience we will no how to produce for you the fixed Seating solution which you need for your building. 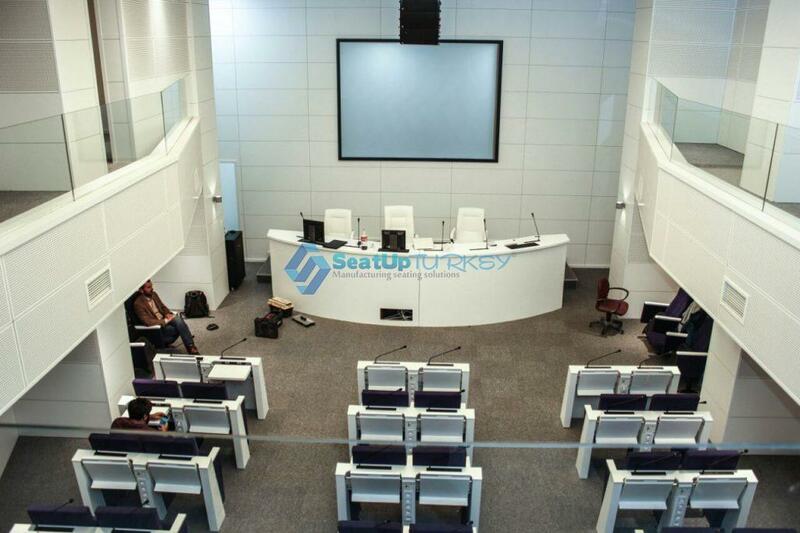 Whether if it is Multipurpose Spaces, Conference Rooms, Convention Centers, Concert Halls & Auditoriums, Parliament Buildings, Multipurpose Macro-spaces, Sport Stadiums, Theaters, Movie Theaters & Cinemas, Airports & Stations, Universities& Schools, Ferries & Cruise Ships, Hotels & Conventions, Clinics & Hospitals, Religious Centers. 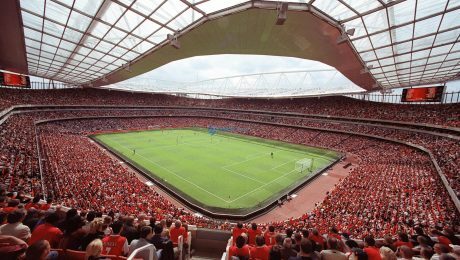 Concert Halls & Auditoriums ,Convention Centers ,Hotels & Conventions, Movie Theaters & Cinemas, Parliament Buildings, Sport Stadiums, Theaters, Universities& Schools. 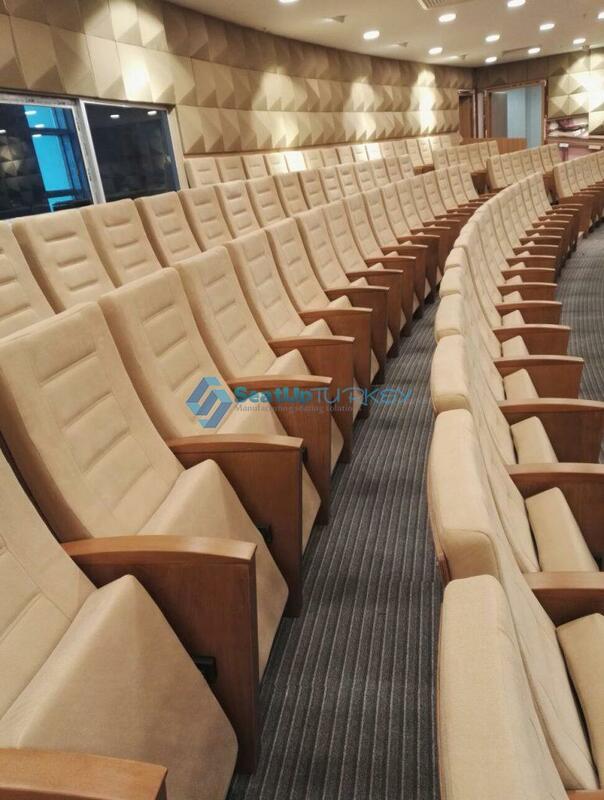 Conference rooms, theaters, wedding halls, cinemas, opera houses, shopping malls, restaurants, radio and TV studios, offices, crowded offices, hotline centers, call centers, shooting ranges, fitness centers, call centers, swimming pools, wedding rooms, conservatory, study halls.